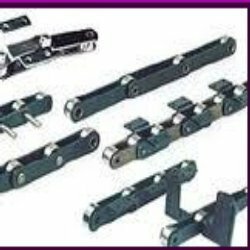 Prominent & Leading Manufacturer from Mumbai, we offer bucket elevator chains, bulk flow drag chains, roller bearing chains, industrial chain, arrow attachment pusher chain and double pitch chain. We are a leading manufacturer and exporter of Bucket Elevator Chains. 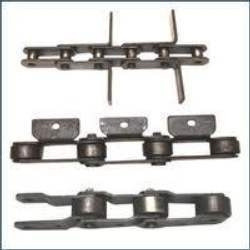 We are a leading manufacturer and exporter of Bulk Flow Drag Chains. 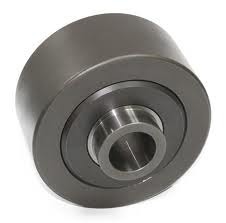 We are a leading manufacturer and exporter of Roller Bearing Chains. Fabricated from finest quality raw material, they find diverse application in various industries. Designed in compliance with international industry standards, we offer an extensive range of steel industrial chains such as conveyor chains, stainless steel slate chains, hollow pin chains and PIV chains. Engineered from finest grade of raw material, our industrial steel chains are widely appreciated for their characteristics of durability, corrosion resistance and resistance to temperature fluctuation. 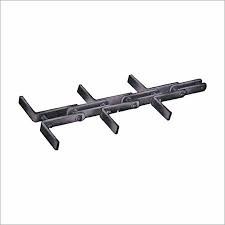 Our wide assortment of industrial chains consists of conveyor chains, hollow pin chains, stainless steel slate chains and PIV chains. 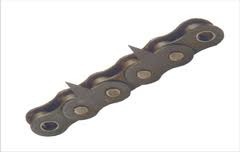 We are a leading manufacturer and exporter of Arrow attachment pusher chain. 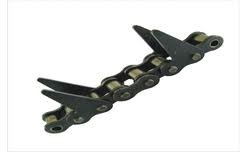 We are a leading manufacturer and exporter of Double Pitch Chain. Fabricated from finest quality raw material, these Chain Couplings find diverse application in various industries. 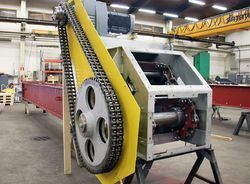 We are a leading manufacturer and exporter of Drive Chains. Fabricated from finest quality raw material, they find diverse application in various industries. We are a leading manufacturer and exporter of. Fabricated from finest quality raw material, they find diverse application in various industries. 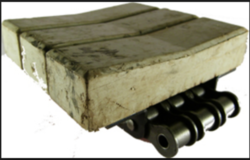 We are a leading manufacturer and exporter of Heavy Duty Driving Chains. Fabricated from finest quality raw material, they find diverse application in various industries. 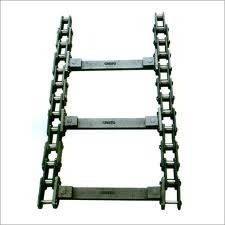 We are a leading manufacturer and exporter of Heavy Duty Elevator Chains. Fabricated from finest quality raw material, they find diverse application in various industries. 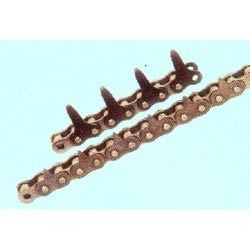 We are a leading manufacturer and exporter of Hollow Pin Chain. Fabricated from finest quality raw material, they find diverse application in various industries. 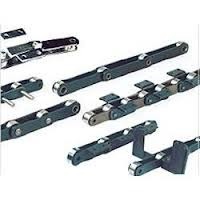 We are a leading manufacturer and exporter of Precision Roller Chain. Fabricated from finest quality raw material, they find diverse application in various industries. 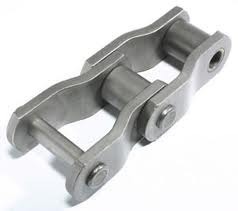 We are a leading manufacturer and exporter of Pusher Chain. Fabricated from finest quality raw material, they find diverse application in various industries. 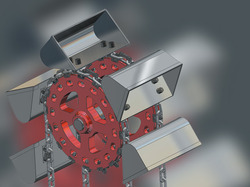 We are a leading manufacturer and exporter of Redler Chains. Fabricated from finest quality raw material, they find diverse application in various industries. We are a leading manufacturer and exporter of Rubber Moulded Chain. Fabricated from finest quality raw material, they find diverse application in various industries. 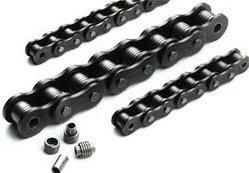 We are a leading manufacturer and exporter of SS Chain. Fabricated from finest quality raw material, they find diverse application in various industries. 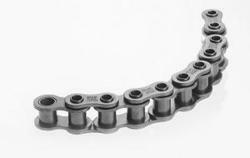 We are a leading manufacturer and exporter of Sailent Chain. Fabricated from finest quality raw material, they find diverse application in various industries. We are a leading manufacturer and exporter of Single Arrow Chain. Fabricated from finest quality raw material, they find diverse application in various industries. 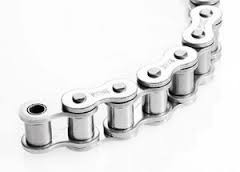 We are a leading manufacturer and exporter of Special Crank Type Chain. Fabricated from finest quality raw material, they find diverse application in various industries. 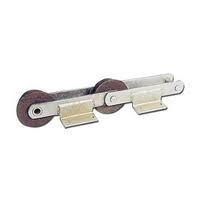 We are a leading manufacturer and exporter of Special Purpose Conveyor Chains. Fabricated from finest quality raw material, they find diverse application in various industries. 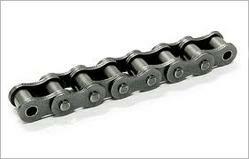 We are a leading manufacturer and exporter of Steel Driving Chains . Fabricated from finest quality raw material, they find diverse application in various industries. 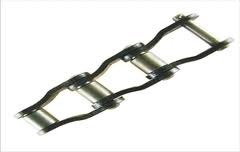 We are a leading manufacturer and exporter of Transmission Chain . Fabricated from finest quality raw material, they find diverse application in various industries. We are a leading manufacturer and exporter of Double Arrow Chain. Fabricated from finest quality raw material, these Chain Couplings find diverse application in various industries. 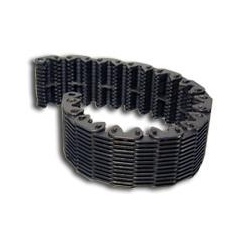 We are a leading manufacturer and exporter of Accumulator chain. 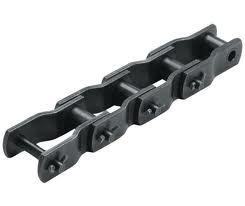 We are a leading manufacturer and exporter of Heavy Duty Drag Chain. 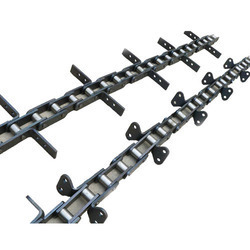 Looking for Industrial Chains ?